Information behaviour has been an important research area for many years in the field of information science. 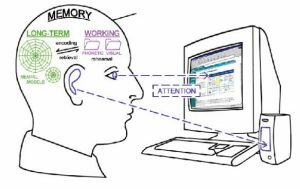 Multitasking information behaviour can be defined as the, “library search and use behaviours, or database or Web search sessions on multiple information tasks” (Spink, 2004, p. 336). 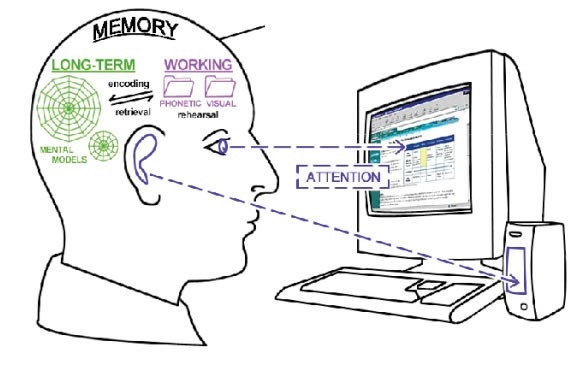 Web seeking has been identified as multitasking information behaviour, which includes changes in “beliefs, cognitive, affective, and/or situational states” (Spink et al.,2002). Prior researchers found that cognitive processes and cognitive variables might involve and affect information behaviour and performance.There have been multiple attempts to explore personal variables, which may be related to information behaviour. However, these attempts have focused either on personal variables but in other environments than multitasking or in similar environments without exploring personal variables in depth. This study will correlate for first time working memory and flow with multitasking information behaviour and its cognitive procedures on web. This research’s aim is to enhance understanding of multitasking information behaviour during web searching and provide a new, more integrated model. This research contributes to the knowledge of human-computer interaction and interactive information retrieval research. There is a need to enhance knowledge about the personal variables, which may affect the information process. It also aims to a better understanding of web searching. It will try to explore and investigate the underlying cognitive and affective factors as well as their relationships in multitasking during web seeking highlighting the user-web search model. This study will also help web companies to create more effective web products. Knowing how web and its products interact with users and how peoples’ information behaviour and performance on web can be influenced (enhanced or decreased) by personal variables and web characteristics, web companies would create better and more productive web systems.